Were you aware that even the smallest tap leak could be wasting literally hundreds of litres of water annually? This is exactly why it becomes important to make sure that your taps and all the other plumbing systems are in good working order. Deferring getting a dripping tap fixed can significantly increase your monthly water bill as well. But why wait for that to happen when you can simply call the experts at King and Sons Plumbing Melbourne for prompt tap installation, replacement and repair services? We are one of the leading companies in this space and have been operating in this industry for a number of years. 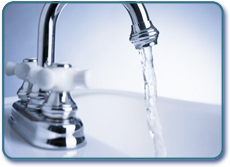 You will find that our Melbourne tap installation and repair solutions are prompt, professional and cost-effective. 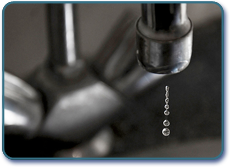 Dripping Taps – This is one of the commonest indications that your tap needs repair. The dripping may be caused due to malfunctioning valves, or even high water pressure in your pipes. Damaged tap components– If you find that the tap handle works erratically or doesn’t work anymore, this could indicate a complete replacement is required. A spitting tap– If the tap fails to produce a steady stream of water, the problem likely is the screen/aerator that covers the tip of your tap. This is a very minor problem and replacing the aerator can fix it. Sounds coming from your faucet– Depending on the problem, taps can produce a number of different sounds. A screeching sound is a sign of a worn rubber washer, and replacing it will fix the problem. Clicking and tapping sounds require taking the tap apart and inspecting it for potential cracks in the components. Mineral and rust deposits– These are the other two types of tap damage. If you’ve seen any of these build-ups on the tap surface, it’s time to replace the feature.